I know so many people who dread writing cover letters. I get it...if you don't write a decent cover letter, the hiring manager might not even bother to look at your resume. Your resume, as discussed last week, is a snap shot of who you are professionally. 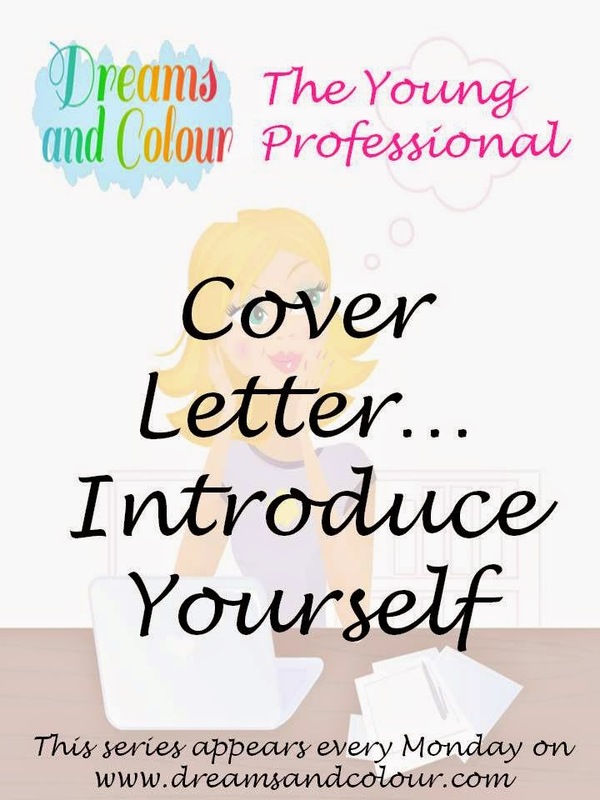 Your cover letter is an introduction to you, it's the first impression. As with everything, there so many idea about what makes or breaks a cover letter. I'm going to share what has worked for me and what I look for in cover letters. Contact information- Just like my resume, I have a header that includes my full name, address, phone number, email and LinkedIn profile. Make it easy for them to contact you. Address the letter- Sometimes job postings will say who to submit your resume too (example, Jane Doe, Company Owner), so this is who your cover letter should be addressed too. Other times, they won't include a name but will say something like 'submit resume to mediarelations@company.com. In this case, address your letter to 'Media Relations Manager'. As a last resort, 'Human Resource Manager' will work. Opening Paragraph- I always include the phrase 'from my attached resume' somewhere in the opening paragraph. I also mention my education and that I have 'several years experience' in whatever type of job I'm applying for. For example, if I'm applying for an event job, I say 'I have several years experience in managing events'. Current/Most Recent Employment- Next I mention my most recent employment and briefly mention what I was responsible for. For example, I say what type of events I managed (educational conferences, Annual General Meetings, fundraising campaigns). Keep this brief, as your responsibilities should be extensively listed on your resume. There is no need to repeat them here. Customize- With the exception of the 'Qualification' section of my resume, I do not customize my resume to the job I'm applying for. Instead, I do that in my cover letter. For example, if the job talks about making presentations in the community- which is something I have done but not a regular part of my job- in my cover letter, I would talk about how I made presentations about the company to Group A, B & C, with audiences ranging from 20-100 people. Highlight- Building on the point above, aim to highlight 3-5 qualifications that make you right for the job. Try and provide solid examples of what you have done based on what they are looking for. For example, I was applying for a job with a municipality, and while I have never worked for one, I have years of volunteering with them. I mention specifics (where, what, how long) of this volunteer work in my cover letter (and have it listed on my resume). Also, use keywords from the job description. Standout- Last year, I was nominated for several Chamber Awards, including Employee of the Year. I always mention this in my cover letter. I mean, how many Employee of the Year nominees are applying for this position? Not many. Mention something, anything, that will make you standout from others. Additional Information- Sometimes job postings will say to provide specific information, such as salary expectations. Your cover letter is a good place to provide that information. A cover letter is also a good place to mention if you are able to relocate, if you are applying for a position outside your geographical location. Proof Read- This isn't part of the template, but is something you should do. Check your spelling and grammar. Also double check who the letter is addressed too (don't address it Jane Doe, when it should be Joe Smith) and that the position and company stated in your letter are correct. Remember, your cover letter is an introduction to you, it's your first impression. Tell a little bit about yourself. Showcase what makes you unique and perfect for the position. Next week, we'll be talking about interviews. Looking for more on this series? Checkout The Young Professionals tag.